2019, April 7: Igor got married. Congratulations! 2019, April 5: Our collaborative paper on the silicon-alleviated iron deficiency in barley has been published in Frontiers in Plant Science. 2018, December 10-13: Miroslav visited the Sabanci University in Istanbul (Turkey) as a lecturer within the Ecology course for undergraduates in Engineering and Natural Science. This short stay also opens research collaboration with Profs. Ismail Cakmak and Levent Ozturk on micronutrients in crops. 2018, December 9: Our paper on the short-term effect of mono silicic acid on the external Ca2+ activity and Na+ root accumulation has been accepted by Journal of Plant Nutrition and Soil Science. 2018, November 25-28: Miroslav delivered a memorial talk to Professor Volker Römheld entitled “Work and Life of Volker Römheld: Inspiration for Young Scientists” at the 3rd International Symposium on Magnesium. 2018, September 17: Ivana joined our team as a Post-Doc Research Fellow. Welcome! 2018, September 9-13: Nina had a talk at the 11th European Conference on Ecological Restoration in Reykjavik, Iceland. 2018, August 16: Our paper on silicon-meditated sodium transport and partitioning in maize has been accepted by Environmental and Experimental Botany. 2018, Jun 18: We welcome Fernando Carballo Mendez, PhD student at the Autonomous University of Nuevo Leon (Mexico). Fernando will stay for two months working on the priming effect of silicon to salt tolerance of wheat. 2018, May 15-17: Miroslav visited the University of Copenhagen (Denmark) as an assessment commity member for PhD thesis defence at the Department of Plant and Environmental Sciences. In addition, he participated as a lecturer within the PhD Course “Plant Nutrients in Terrestrial Ecosystems 2018” and also delivered the seminar entitled “Silicon influence on the plant ionome and mineral transporters” for the researchers at the Section for Plant and Soil Science. 2018, February 19: Our paper on the natural revegetation processes after long-term fluvial deposition of copper mining waste has been accepted by Land Development and Degradation. 2018, February 13: Miroslav has been appointed as the Section Editor of Plant and Soil. 2017, December 4: Our paper on the expression of aluminium transporter ALMT1 genes in Serbian wheat cultivars has been accepted by Journal of Soil Science and Plant Nutrition. 2017, November 28: Igor joined our team as a post-doc. Welcome! 2017, October 30: Miroslav became an Associate Editor of Frontiers in Plant Science, section Plant Nutrition (impact factor 4.298). 2017, October 24-28: Miroslav delivered a keynote on silicon influence on plant ionome and mineral element transporters, and Pedja had a talk on silicon-mediated sodium transport in maze under salt stress the 7th International Conference on Silicon in Agriculture (Bengaluru, India). 2017, August 21-24: Miroslav delivers a plenary keynote on silicon-mediated ion uptake, transport and homeostasis in plants at the 18th International Plant Nutrition Colloquium (Copenhagen, Denmark). 2017, July 24: Our paper on the silicon-increased phosphorus (P) uptake by wheat in low P acid soil has been accepted by Plant and Soil. 2017, Jun 16: We welcome Sofia Pontigo, PhD student at BIOREN-UFRO in Temuco (Chile). Sofia will stay for one month in our lab as a guest researcher. 2017, Jun 14: We welcome Giorgia Lamanna, MSc student at the University of Bologna (Italy), who will work on her thesis until September. 2017, Jun 9: Jelena successfully defended her PhD thesis. Congratulations! 2017, April 28: Congratulations on the birth of Pedja’s baby! 2017, March 8-17: Miroslav visited the University La Frontera in Temuco (Chile) as an external participant in the research project “Role of Silicon Fertilization on Photosynthetic Performance and Production of High Antioxidant- or Structural-phenolic Compounds in Cereals Grown under Phosphorus Deficiency in Andisols: A Novel Strategy to Optimize Grain Yield and Food Nutritional Value” (granted to Dr. Paula Cartes). He also delivered a seminar "Silicon mediates stress-responsive reactions and ion homeostasis in plants under mineral stress: from acid to alkaline soils”. 2016, December 27: We enjoyed our traditional year-end lunch at the Restaurant "Uzelac". 2016, December 23: Pavle joined our team as a PhD student. Welcome! 2016, November 21-24: Miroslav visited the University of Hohenheim (Stuttgart, Germany) as an examiner of PhD Thesis in Agricultural Sciences. He also delivered the seminar entitled “Silicon-mediated i(r)on transport in plants” at the Institute of Crop Science (Section for Plant Nutrition) and discussed further collaborative research on silicon nutrition of crops with Professors Uwe Ludewig, Torsten Müller and Günter Neumann. 2016, October 21: Professor Zed Rengel (University of Western Australia, Perth) visited our lab and discussed our ongoing and further research projects. Also, he delivered a lecture “Plant zinc: in, out and about” at the Faculty of Biology. 2016, October 17: Tijana joined our team as a PhD student. Welcome! 2016, September 21: Dr Anderzej Sienkiewicz (EPFL, Lausanne, Switzerland) visited our lab and discussed our collaborative research (initiated by Professor Lászlo Forró) on mitigation of phytotoxicity of nano-TiO2 by slilicon and planned further experiments to be performed at EPFL. 2016, August 25: Dr. Marek Vaculik (Comenius University in Bratislava) visited our lab together with Drs Miroslava Luxova and Alexandra Leskova (Slovak Academy of Sciences) and discussed our ongoing and further collaborative research on slilicon nutrition of cereals and grapevine. 2016, August 22-26: Nina had a talk at the 10th European Conference on Ecological Restoration in Freising, Germany. 2016, August 2: Our paper on the binding properties of metals to monosilicic acid in aqueous and xylem solutions has been accepted by Biometals. 2016, July 26: Dr. Cristian Merino from the La Frontera University in Temuco (Chile) visited our lab and discussed possibility for collaborative research on micronutrients in blueberry. 2016, June 27-30: We welcome Francisco Contreras, PhD student at the University La Frontera in Temuco (Chile) and Annalisa Somma, MSc student at the University of Bologna (Italy). The purpose of their short visit is learning the methods of soil analyses, which has been organized within the frame of our running collaboration with Prof. Adamo Rombolà (University of Bologna). 2016, June 8-11: Miroslav was a Commission Member for the Doctor Europeus final exam in Agriculture, Environmental and Food Science and Technology held on June 9 2016 at the University of Bologna. He also visited the Research Group of Prof. Adamo Rombolà at the Department of Agricultural Sciences and discussed further collaborative research on the root exudates of woody plants under field conditions. 2016, May 30-June 3: Jelena P. attended XVIII ISINIP held in Madrid (Spain) with a poster presentation. 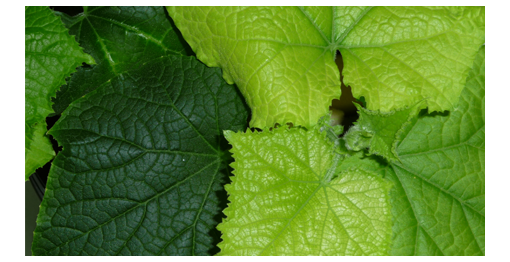 2016, April 25: Our paper on the silicon-enhanced iron remobilization in cucumber leaves has been accepted by Annals of Botany. 2016, February 15: Our paper on the assessment of soil availability and wheat grain status of zinc and iron in Serbia has been accepted by Science of the Total Environment. 2015, December 30: We enjoyed a traditional year-end lunch at the Restaurant "Uzelac". 2015, November 27: Petar joined our team as a PhD student. Welcome! 2015, November 16-21: Nina visited the University of South Bohemia in Ceske Budejovice (Czech Republic) to discuss a scientific cooperation with the research group of Professor Karel Prach, within a prospective joint project on restoration ecology. She also has a seminar "Linking Restoration Ecology to Ecological Stoichiometry" at the Department of Botany. 2015, November 13: Miroslav delivered an invited lecture at the Fifth Conference of Serbian Biochemical Society "Root-induced Changes at the Soil-Plant Interface: From Biochemistry to Agriculture". 2015, October 27-29: Miroslav visited the Department of Plant Physiology (hosted by Professor Alexander Lux and Dr. Marek Vaculik) and delivered the lecture entitled "The role of slicon on mineral nutrient acquisition by crops: from acid to calcareous soils" at the Faculty of Natural Sciences - Comenius University in Bratislava. 2015, August 10: Our paper on the long-term passive restoration of vegetation on fluvial deposition of sulphidic Cu-tailings has been accepted by Environmental Science and Pollution Research. 2015, July 2: Professor Alexander Lux, Dr. Marek Vaculik and Milan Soukup from the Comenius University in Bratislava visited our lab and discussed our further research cooperation on slilicon nutrition of cereals and grapevine. 2015, June 19: The book "Silicon in Agriculture" co-authored by Y. Liang, M. Nikolic, R. Belanger, H. Gong and A. Song has recently been published by Springer and is available online at http://www.springer.com/gp/book/9789401799775. 2015, May 18: Collaborative review paper with Dr. Paula Cartes and her co-workers (Frontera University of Temuco, Chile) on silicon nutrition in acid soils has been accepted by Planta. 2015, May 15: Ljilja spent 10 days at University of Bologna, working with the research group of Professor Rombola on the root exudates in fruit trees. 2015, April 25: Pedja got married. Congratulation! 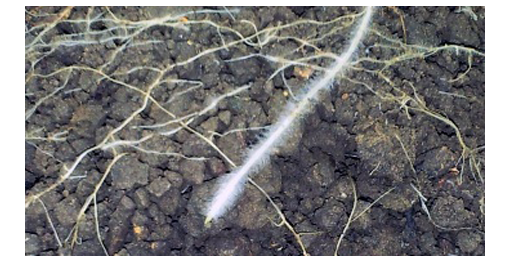 2015, March 15: Our paper on the rhizosphere P availability and acquisition by wheat in acidified soil has been published in Biology and Fertility of Soils 51: 289-298. 2015, February 27: Ljilja successfully defended her PhD thesis. Congratulations! 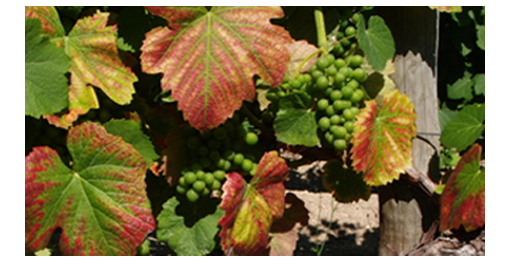 2015, January 12-17: Miroslav visited the Department of Agricultural Sciences - University of Bologna and delivered the lectures within the course of Vineyard Management (Prof. Adamo Domenico Rombola) for BSc students in Viticulture and Enology at Cesena campus and two seminars addressed to PhD students and researchers of the School of Agriculture and Veterinary Medicine in Bologna. 2014, December 26: We had a traditional year-end lunch at the Restaurant "Uzelac" and celebrated Jasna's promotion. 2014, December 4: Our paper in PLOS ONE is available online. 2014, November 30: Nina’s monograph on ecological restoration of mined land has been published by SVH-Verlag. 2014, November 25: Jasna was promoted to Associate Professor at the Faculty of Agriculture. Congratulation! 2014, November 19-28: Miroslav visited the Frontier University of Temuco (Chile) and gave a seminar on the physiological and molecular mechanisms of plant response to mineral stress within a PhD course in "Biochemistry and Stress Mechanisms in Plants". Also, he attended the 2nd International Symposium in Plant Soil and Microorganism (November 24-26, 2014, Pucón) as an invited speaker. 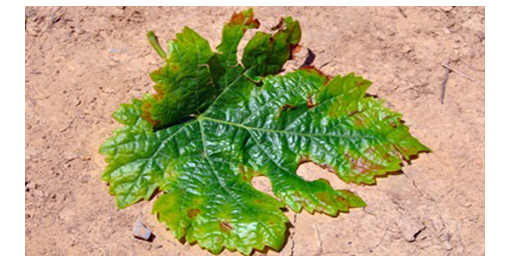 2014, November 10: Our paper on the assembly processes of vegetation on extremely degraded soils has been accepted by PLOS ONE. 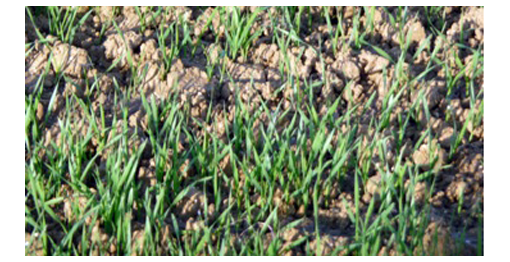 2014, October 13: Our paper on the rhizosphere P availability and acquisition by wheat in acidified soil has been accepted by Biology and Fertility of Soils. 2014, August 26-30: Miroslav delivers a keynote on the role of silicon in nutrient acquisition and transport, while Dragana presents a poster at the 6th International Conference on Silicon in Agriculture (Stockholm, Sweden). 2014, August 3-8: Nina speaks at 9th European Conference on Ecological Restoration (Oulu, Finland). 2014, July 7-10: Jelena P. and Jelena S. attended XVII ISINIP held in Gatersleben (Germany) with two presentations (oral and poster). 2014, July 7: Our website is completed. Thanks to Aleksandar. Copyright © 2014 Plant Nutrition Research Group. All rights reserved.